A facebook user Enoch Godson took to facebook to narrate how his friend Oluwaseun Ezekiel, a fresh graduate of the University of Lagos passed away due to alleged negligence of staff and failing infrastructure in the hospital. 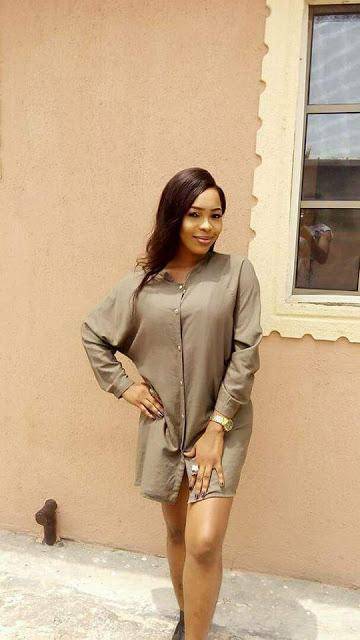 The deceased graduated in 2017, and was set to start her NYSC programme. It was reported that she was diagnosed of cardiac failure and rushed to the University College Hospital, Ibadan where she was neglected by the hospital staff. During his narration, he wrote; “We rushed to the emergency department calling for help at about 12am with our dear Oluwaseun diagnosed with Cardiac failure, but it took 15 minutes to have a not-so-friendly looking doctor amble to the car we brought her in just to see whether or not the case was an emergency. Soon we were asked to pay for so many written things including an oxygen tube so that she could breathe, but getting to the cashier, he told us in no uncertain terms that he would not attend to us until he downs his bowl of amala (biko, who eats amala at such an ungodly hour? But that’s by the way)"
Enoch also complained about the state of the wards and hospital in general, in his post he described the resuscitation unit ;“Eventually, Oluwaseun was checked into the resuscitation unit and trust me, that place reeked of death. A resuscitation center that had only one functional heart monitor to serve four dying patients, no even a single defibrillator, stuffy as hell, very mean nurses; one of whom even threatened to check out any patient whose relatives were not cooperative, two malfunctioning air conditioning systems while every last office there had working ones, it was generally a place prepared to make patients sweat their very weak pulses out. It should rather be called a euthanasia ward." Enouch is calling on the Government to fix our hospitals, he said UCH is a death trap nobody should run to.